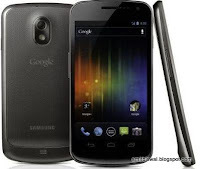 Samsung Galaxy Nexus – Features and Review. 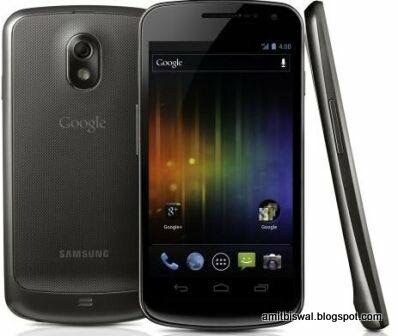 After Samsung Galaxy Y S5360, now its the turn for the newest model of Samsung made in collaboration with the search engine giant and the android owner Google. As it is mentioned in the title of this post, here we are going to cover the complete features and review of this new smartphone which has been recently announced and has been christened with the name which has been already mentioned in the title of this post. Let’s find out what are the specifications and features of Samsung Galaxy Nexus. First of all let us start with the description of its outer body structure. Well this device measures 135.5 x 67.94 mm in dimension and its thickness measures at around 8.94 mm. It is having a thin curved profile and weighs 135 grams at the most. On its left and right side, its bezel size is around 4.29 mm. Now moving into the system configuration of this device, this smartphone will run of TI OMAP 4460 SoC with 1.2 GHz memory processor. It has been provided with a virtual memory of 1 GB LPDDR2 with storage capacity of 16 GB which is expandable up to 32 GB. It contains a 1750 mAh Li-Ion battery. Reportedly this smartphone will run of the Android’s newest platform that is version 4.9 Ice Cream Sandwich. Talking about some of the media capability of this smartphone, It is having super AMOLED display of 4.65” with screen resolution of 1280 X 720 HD. The screen size can be considered quite good since it will provide good user experience if it is used for watching mobile movies or videos. Regarding its camera, it contains 5 Megapixel camera with LED flash at its rear end and another 1.3 Megapixel at its front. In addition to all these specifications and features, additionally this phone contains some special sensor circuits like Accelerometer, Compass for navigational purpose, Gyro, ALS, Proximity indicator and a Barometer too. Well this smartphone will be available in the market in November 2011 and exact price of this device has not been revealed by the company yet. But considering its features and specifications, it might be around Rs 20,000 - 30,000 somewhat near to Samsung Galaxy S.
Considering the numerous sensors in this smartphone and the screen size of 4.65”, this phone can be a good substitute to Samsung Galaxy S and S II phones. Moreover its 5 MP camera, high speed processor and RAM seem that this phone will outperform all the previous Galaxy smartphone. What are your opinions regarding this device? You can comment below regarding what do you think about this device and let us know. what is its price in Bangalore?